Formerly more an insider’s tip, Wakui has by now built up a formidable reputation by hard and flawless work. 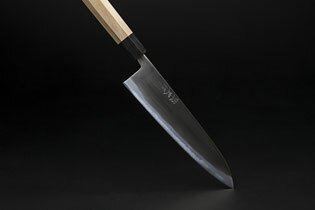 In fact, we consider his knives to be some of the best artworks as well as utility tools we have ever seen. At a young age, he already has reached the top level of forgery. Buying his products never is a mistake.